I recently hired PJ Marble for a major renovation project at my condo in Fort Lauderdale & was very impressed by their workmanship & professionalism. 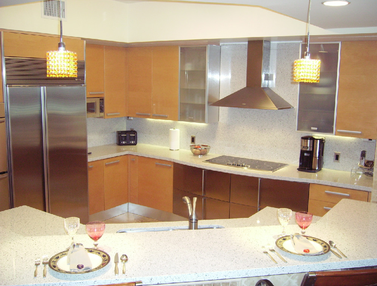 I was gutting my kitchen & had some tenative design plans in mind based on prior renovations in my association. Julia worked with me to substantially improve those initial concepts. 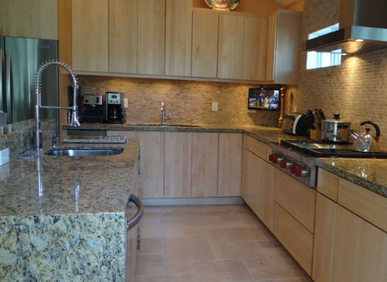 She created a top of the line design & provided exceptional advice not only on choosing my cabinets & countertops but also smaller details such as my sink & backsplash. Paulo & his team then did a great job with the installation. 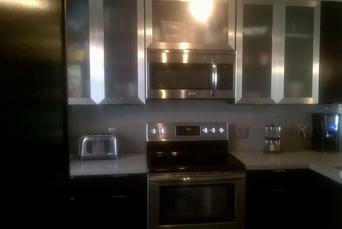 The result was an amazing kitchen. Despite my small floor plan, I now have the feel of a luxury home. I have been incredibly pleased with how they took at 1970 era kitchen & turned it into a modern wonder. Everyone who has visited me since has been awed by the results as well. Friends of mine have used Julia & Paulo on other jobs and I can state that they are also very satisfied customers. I would highly recommned PJ Marble & Granite to anyone who asks. The work was finished a couple of minutes ago & Roxana and myself want to thank you again. It looks beyond our wildest expectations. Just BEAUTIFUL. I HIGHLY recommend PJ Marble! 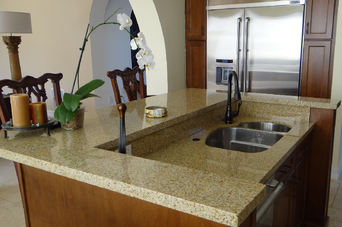 Not only do our kitchen and bathrooms look amazing with the granite counters but the process was seamless from start to finish. 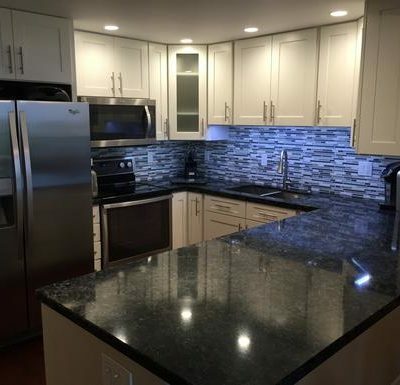 The bid was more than reasonable, their granite suggestions to match our home and price range were thoughtful and the installation was flawless. And I've never worked with contractors whose cleanup was so impeccable.....amazing! This is one of the easiest renovations we have done in our home so far. Pj's installation team was professional and got the job done on time as promised. 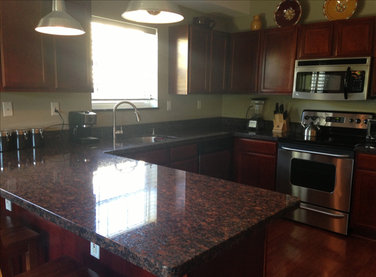 The granite installation was flawless and affordable. I am so pleased by this experience that I think I will do my kitchen next with Pj. It's hard to find a company that would take the time to be sure everything was perfect as if it were their own home. Thanks! My nephew recommended PJ Marble & Granite to me after seeing the beautiful work done at his home. Julia takes the time to insure that your dreams are translated into reality. Her suggestions were helpful and on target. 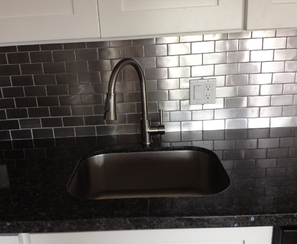 The result was amazing kitchen and bath granite surfaces that exceeded my expectations. Breathtaking is the only way to describe the granite island that most people stare at while attempting to determine how it was put together. Thank you Julia & Paulo. I am absolutely thrilled with my kitchen. 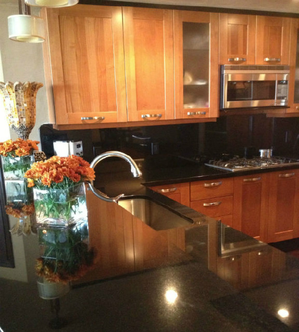 PJ Marble & Granite made an old kitchen look new and beautiful. Everybody that comes into my kitchen loves the look. Paulo's work is meticulous. Thanks again! Meeting Julia & Paulo was a godsend and I highly recommend their services. Their combined strengths & skills transformed at 1970 relic into a completely renovated 21st century condo. They are professional, detail orientated, precise, RELIABLE and most importantly, trustworthy. I was able to turn over keys, return to New York to complete my relocation. I returned to Florida on April 1st to my new home. Thank you Julia & Paulo. Dear Julia & Paulo, We want to thank you for all your assistance in providing us with the most beautiful kitchen imaginable. 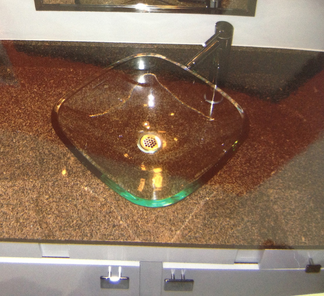 The Silestone quartz product is fabulous. Julia - you were right in the color selection. It matches our modern sleek look while giving us a sense of more light because of the reflection specks of silver in the stone itself. And it made our kitchen area seem more spacious. Your professionalism from beginning to end was outstanding. You were on time for your appointments, you knew exactly what you were doing and how to do it. You worked with us in a time line to suit our needs. Paulo - your crew were so polite and accommodating. It is rare that workers clean up after themselves with a broom. Impressive! Please don't hesitate to use our names as a recommendation. We had our first dinner party showcasing the new counters and all were amazed at the quality & craftsmanship of the installation. No one could find the seams! Congratulations and we wish you the best in your continued success as the best marble/quartz/cabinet installers in the State of Florida. Kitchen & Restroom look fabulous! Thanks for making it happen while I was out of town! - R McCormack, Wilton Mannors. PJ Marble & Granite are so easy to work with! 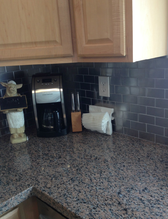 They maximized storage in my kitchen & helped me to create the vision I wanted. This is my 2nd kitchen with them! - JImmy Blandi & Tom - Royal Palm Oakland Park. I used PJ Marble & Granite for my home where they installed all of the kitchen countertops, 4 bathroom sink countertops and a bathtub enclosure. 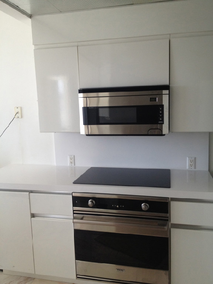 I was so impressed with the work that I now use them for the renovation of all of my rental & investment properties. The granite makes a great impression. As an experienced licensed real estate broker in the Broward county area for years, I have been exposed to hundreds of local suppliers of home products. I can honestly attest that PJ Marble & Granite is one of the finest companies I have ever had the pleasure working with. They not only met my expectations in the work they did in my home, they exceeded. I found them extremely reliable and the pride in their trade is evident in their superb craftsmanship. 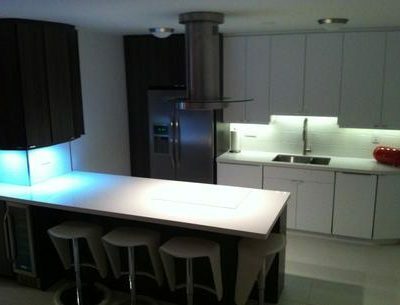 I am so pleased with my kitchen that I would recommend them without hesitation to all my customers, family and friends. It is now clear to me why PJ Marble was highly recommended to me several years ago.